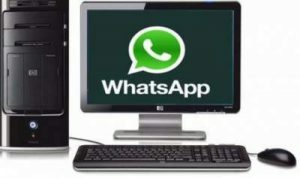 In our previous articles we have discussed with you the ways of downloading and installing your favorite Whatsapp messenger on your PC or laptop. We had also discussed with you that you need to have a new number for using Whatsapp on laptop which you need to register with Whatsapp. We used Bluestack Emulator for downloading the windows version of Whatsapp. But using a different number for activating Whatsapp on PC looks like a limitation. What if we tell you that you can use the same mobile number for activating and sending messages to your friends while using Whatsapp on laptop? You must be surprised, but this is true. Now you do not need to have twodifferent numbers for using Whatsapp messenger on your PC and mobile simultaneously. Using Whatsapp Emulator- First of all you need to install Bluestack Emulator on our PC. Stepwise guide for the same is given in our previous articles. Once we have installed Bluestack, you need to Bluestack Cloud Connect application on our Smartphone or mobile handset. It can be easily downloaded using the Google play store application. Once the Bluestack Cloud Connects is installed on your smartphone, open the application. First time users will be asked to enter a unique PIN by the application. Now open the Bluestack Emulator installed on your PC. In the settings option of the software, you will find Bluestack Cloud Connect option. Clicking it will pop-up option for entering your mobile number and email id,which in turn will give you the required registration PIN for entering in the Bluestack Cloud Connect installed on your mobile handset. After you enter the registration pin in your handset, you have to click sync in the Bluestack application installed on your mobile. Now applications get synced and you are ready to use Whatsapp on your PC and Mobile with the same mobile number. Alternative method- Though the technique of Bluestack Cloud Connect works most of the time, but on the safer side we have identified an alternative technique for you which you can use to activate Whatsapp on laptop and mobile both. This method requires “Rooting” your device. Grant root permissions to WhatsRemote while using it for the first time. After granting rooting permissions, register with the application with your email id and mobile number. WhatsRemote can be used freely for first three days. After that you need to purchase the subscription for a very moderate price of Rs 175/year. After buying the paid subscription, go to the website Whatsremote.com on your laptop. Sign in with the same Google account with which you have registered with WhatsRemote. Once you sign in, you can see messages of your friends on Whatsapp application on your laptop. Now you are ready to use Whatsapp on your PC and mobile with the same registered number. Hope you have enjoyed the tricks. Feel free to contact us anytime with your queries and comments.